I wrote about my Michael Van Clarke experience a while back and promised to review the 3''' More Inches range once I tested it for a few weeks. This range - consisting of a shampoo, conditioner and treatment - is specifically designed to slow down the aging process of hair, which is accelerated by heat styling, the sun and colouring. I've never come across a hair care range with this promise, so I was very curious and also determined to keep my hair supple and healthy after my lovely haircut at the salon. These products won't magically make your hair grow faster. They will slow down the process of aging hair i.e. brittle and thin hair. If you take a strand of hair and feel the difference between the thickness near the roots compared to the thickness near the ends, you'll know what I'm talking about. The 3''' More Inches range is designed to keep your hair think, supple and healthy from root to end. The shampoo an conditioner contain 250 ml and come in relatively small bottles which make them good for traveling. The treatment comes in a big 500 ml bottle, which is good because it will last for at least a few months. For traveling I would transfer it to a smaller, travel size bottle. Like all products in the range are pretty much scent-free. They don't contain any perfume because it dries out the skin and hair. It would have been nice if the products had a nice scent, but I'd rather have great hair than nice smelling hair products! The shampoo ingredient list is short, which is a good sign. 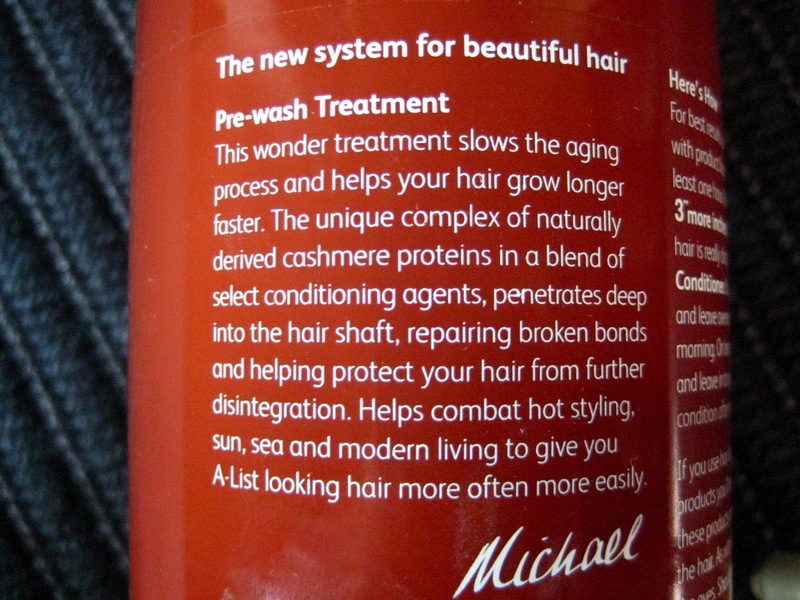 A quick glance at it tells me that there is SLES in this shampoo. This ingredient washes away any oil and dirt, but it can also dry out your skin. It's definitely not as bad as Sodium Lauryl Sulfate (which you should definitely avoid), but I would have liked to see a milder ingredient instead. A new version of a sulfate-free will come out later this year. To balance it out, there are also some good ingredients like Wheat Protein, which increases the hair's ability to retain moisture. It doesn't contain any silicones! Silicones make your hair feel soft and smooth, but won't actually do anything good to your hair. Silicones are cosmetics, not hair care. Keratin is a type of protein that encourages hair growth. Colouring, bleaching, styling can harm your hair as it washes out your hair's natural Keratin. Hydrolyzed Keratin will replenish the Keratin in your hair, making it stronger and healthier. This sounds great! A conditioner that actually does something to your hair. I can't wait to try this on beach holidays! Apply it to my hair in the morning, twist it in a bun and let the good ingredients soak up all day. The good thing is that this treatment dries quite quickly so it doesn't make your hair look greasy. Again, quite a short ingredient list with - as far as I know - good ingredients. So what are these products actually doing to my hair? The shampoo feels mild and doesn't dry out my scalp. The conditioner takes some getting used to, because it doesn't feel like it's doing anything to the hair while it's actually feeding it with proteins and moisture. The treatment is my favourite product because it's so versatile and because it makes my hair feel incredibly soft without silicones. 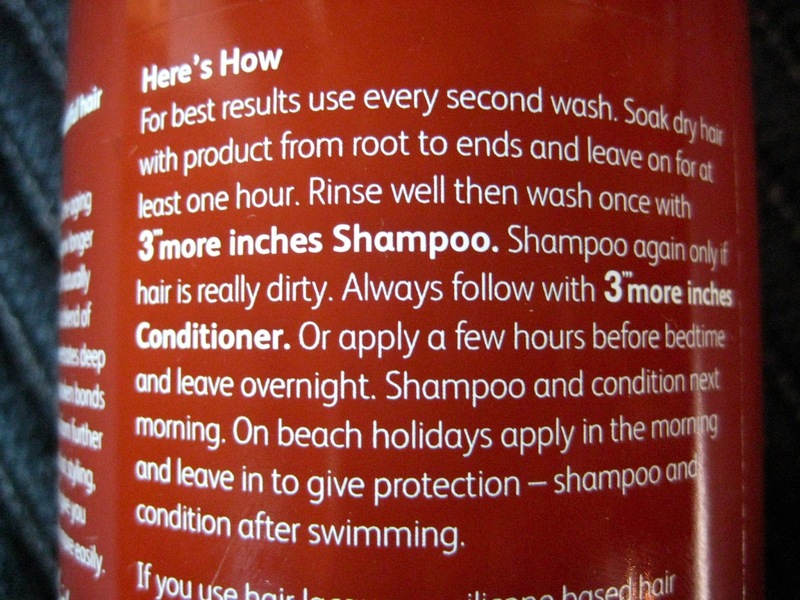 The shampoo costs £17, the conditioner as well and the treatment costs £29. I would definitely choose the 3''' More Inches treatment over a bottle of Moroccan Oil (£30). This treatment is definitely much more worth the hype than products which claim to restore damaged hair but which only mask the problem by adding tons of silicones. I am very pleased with these - in my opinion - revolutionary products. A big thank you to Michael Van Clarke and his team to introduce me to the 3''' More Inches range! Note: even though these products were given to me, this is my honest opinion. I would never recommend something to my readers which I didn't love!